When planning to grow black raspberries, choosing between cultivars can be hard. Fortunately, the University of Maryland Extension, Agriculture & Natural Resources, Fruits & Vegetables program determined which ones are the best for our climate and are the most disease resistant. Jewel: Improvement over Bristol Use fresh or processed. Early season. Concentrated ripening habit (two to three pickings). Haut: Medium-sized. Early season, but ripen over a long period of time. On the other hand, these cultivars are not easy to find in your regular garden store or big-box store. Often, older cultivars like the “Cumberland” black raspberry are widely available but I saw a“Jewel” at Lowe’s – bare root with a runner. I also spied a 2-3 year old potted “Jewel” at our favorite garden center in northwest Howard County. Your choice between a bare root or a plant depends on how quickly you want results. Normally a bare root with a runner will take 3 years before reaching full maturity. A potted plant will be close to maturity in its second year. 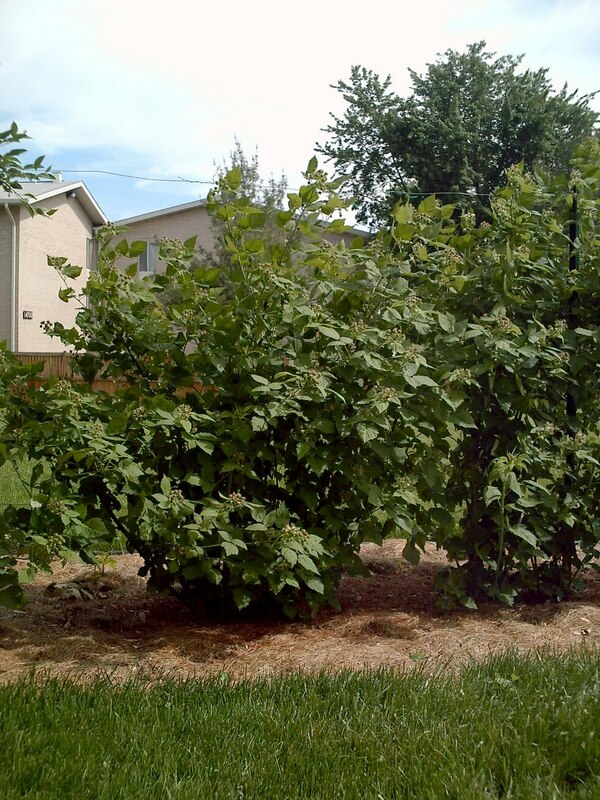 • Remove blossoms during the first year when planted in springtime to improve root development. • Do not cover with more than 2” of soil or compost. At home, we grow mostly the “Black Hawk” cultivar. Commercially, this cultivar is widely use in the northwest part of the USA. We chose it because it was available at our garden center 6 years ago and because when thawed from the freezer, the raspberries keep their shape and the firmness. If you want to encourage local research, try the “Haut” cultivar. It was developed by the University of Maryland Rubus breeding program in 1987. It’s an improvement over “Bristol” and “Cumberland” cultivars. Whoa, weird font. Is everybody getting this font, or is it just on my end? It looks kinda like “wingdings” but different. looks fine on my computer. I changed the font to see if the problem occurs again. Yes, Vicky, all I see in the text is the one word “Bristol” (variety of black raspberry) plus hundreds of graphic symbols. oh dear, can't read it, it's all symbols no letters! Should be fixed now – everyone try again!